Roper Rhodes collection of concealed all-in-one shower systems offer a luxurious showering experience combined with good looks. 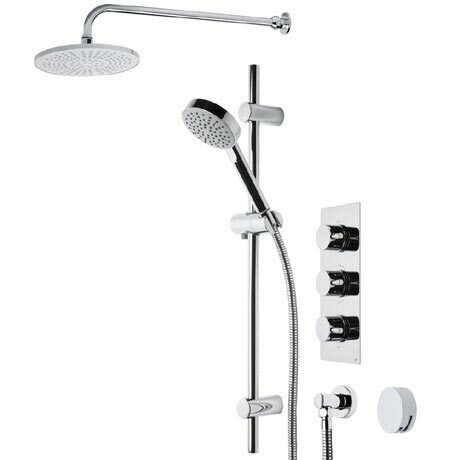 The Event Round Triple Function Shower System with Bath Filler consists of a three function thermostatic diverter valve, round 220mm shower head, round smartflow bath filler waste, adjustable riser rail, single function handset and shower hose and wall elbow. Comes TMV2 approved and is suitable for all plumbing systems with a minimum pressure of 1.0 bar and above.